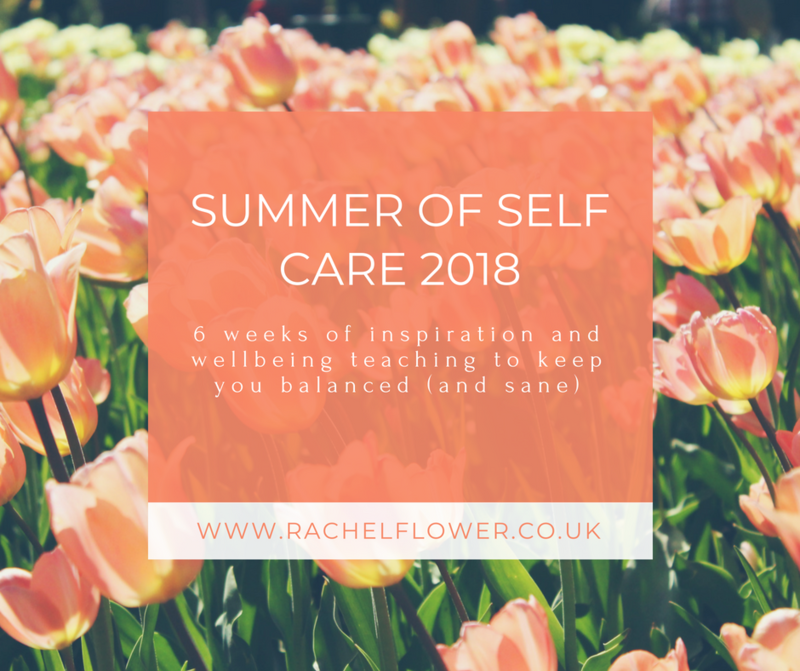 I'm running this 6-week Self-Care programme specifically for busy women, with school-aged children, to support us to prioritise ourselves over the busy summer holidays. As parents we become nurturers, giving our time, energy and attention to others whilst forgetting to nourish and care for ourselves. The two don't have to be mutually exclusive. There are lots of simple ways to nurture yourself in the every day, loving and valuing what you do, who you are, cheerleading yourself on. Resulting in a happier, calmer, more balanced you. Which in turn makes everyone around you happier too. In the 6 weeks, I'll share great ideas to build a foundation for sustainable self-care and together we can have fun and collaboration sharing the up's and the down's of the crazy summer holidays. We're going for nourishment, stealing in some me-time, some exercise challenges to keep up our energy levels, ideas for great healthy nutrition, and taking time to put you first on a daily basis. Helping you to enjoy & cherish the time you have with your children this summer. We'll be looking at ways to make sustainable self-care easy, fun and rewarding! Improve your sleep, move your body, talk to yourself more kindly, celebrate all that is great in your life so you feel happier and more energised. Productivity and time hacks, keeping yourself calm and feeling relaxed even under pressure. In our private FB group, you can dip in and out of weekly videos, daily self-care tips and inspiration, fun challenges. We will shift the “should dos” and give you permission to replace them with things you enjoy and fill you up. It is possible to commit to yourself full-heartedly and maintain a holistic self-care practice that isn’t the first thing to be ditched from your schedule or to-do list. Motivated to invest in you this Summer to show how much you love and value yourself. We start July 25th 2018. Please invite your friends and share the love. Let's enjoy this summer together with our beautiful children and make it one to remember. 6 week group programme to nourish and care for yourself during the school holidays.